With our cooktop still smashed and a lot of my cooking gear still in storage, I dread my time in the kitchen. My current MO is to cook a simple tried and true recipe once and have it last for 2-3 meals so that I’m only cooking a few times a week. This is a riff on the Marks & Spencer orzo pasta & roasted tomato salad that I had last time we were in London. We’re usually so excited to be able to shop at a English grocery store that we skip going to a restaurant and instead eat all of the things we miss when we’re in Denmark. I usually make a beeline for the Walker’s salt & vinegar crisps, Quorn savory eggs, Branston Pickle (which I can literally eat with a spoon), sharp cheddar, and an assortment of Mr. Kipling cakes, but if we’re staying near a Marks & Spencer, I’m definitely sampling their salads. I’ve looked high and low for the Marks & Spencer orzo pasta salad recipe, but I came up empty handed. Fortunately, Marks & Spencer includes an ingredients list on their salads, so it’s relatively easy to decode and successfully reproduce them. Bring a pot of salted water to a boil, add the orzo and cook for 8-10 minutes or until it’s al dente, then strain it. The original version of the Marks & Spencer orzo pasta salad recipe cooks the pasta in tumeric-infused water to give it color, but I didn’t see the point, so I skipped that bit. If you’d like a more colorful dish, add a teaspoon or two of tumeric to the pasta as it cooks. 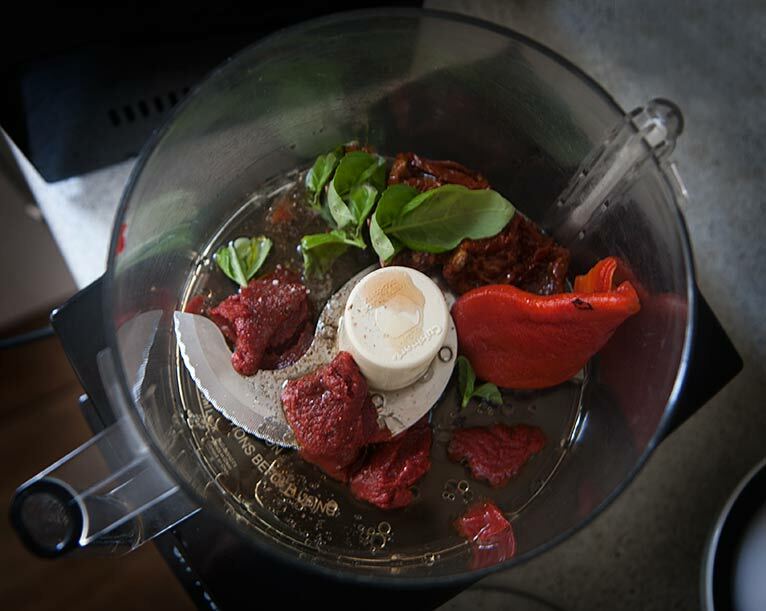 Add the roasted red pepper and its liquid, 6 sun-dried tomato halves and the oil, tomato paste, vinegar, red onion, garlic, oregano, and 6-8 basil leaves to the bowl of a food processor fitted with a blade. Pulse until it’s pureed, then add salt, pepper, and sugar to taste. 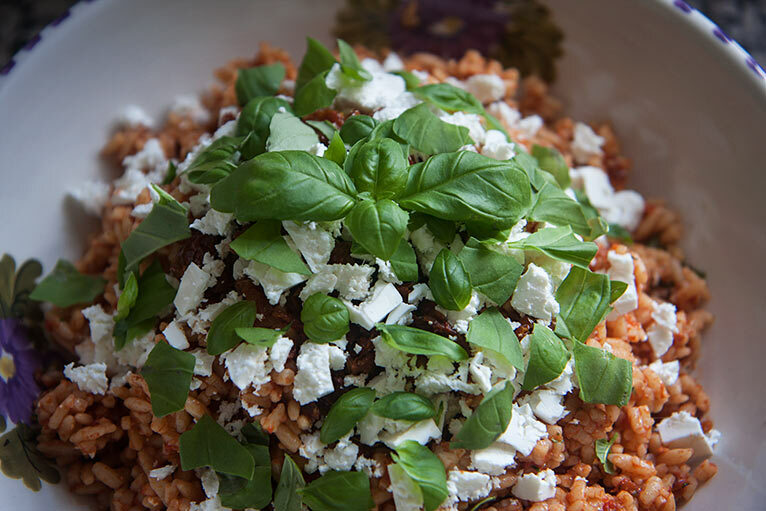 Mix the dressing into the cooked orzo and top it with chopped sun-dried tomatoes, torn basil leaves, and crumbled feta. Mix it before serving, it tastes best at room temperature. For added texture, you can stir in some chopped red peppers and red onions, but for me, this is a “keep it simple dish” that I can throw together with stuff I usually have on-hand. Fresh red peppers aren’t one of those things, but fresh basil plants are everywhere for about $1.50 (kr.10), so they’re kind of a staple. I came here because I’ve discovered your blog last week and immediately subscribed! 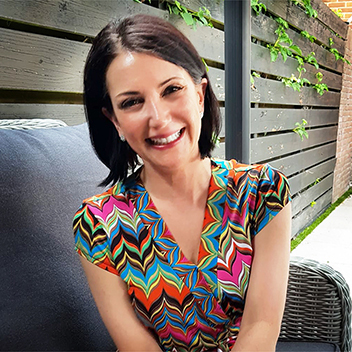 I was happy to see a new post in my email inbox :) I was quite smitten by your blog, do you know the Australian writter Anna Johnson (three black skirts, savvy chic, etc)? I KNOW you are YOU in your right but you remember me of her and I love her thoughts, writting and approach to life. Anyway, happy to have found your blog! Hi Rita! Thanks for your comment and for subscribing :) I’d never heard of Anna Johnson, but I looked her up and she sounds right up my alley, so I appreciate the comparison! I’m going to try to get Savvy Chic on interlibrary loan. Mm.. the color. And I imagine the flavor too. So good. I’m pretty obsessed with orzo and pretty obsessed with pasta salad so recently I created some sort of BLT orzo salad. This will be next on my list. The pictures of your salad look absolutely delicious! I’m always keeping my eye out for new recipes, and this looks like a winner! I hate to even say this but I have never had orzo before. I have seen many recipes using it but have never personally had or made it. I definitely need to look into it. This recipe looks amazing. I actually only started cooking with orzo after I had the Marks & Spencer salad. It’s not a common ingredient in Denmark and I can only buy it from Middle Eastern grocers (of all places). My first attempt at this recipe used couscous, which didn’t work at all because the texture was too delicate for the thick dressing. I love orzo and this salad looks so much different than your regular orzo salad. I bet it’s super good with the tomato paste! 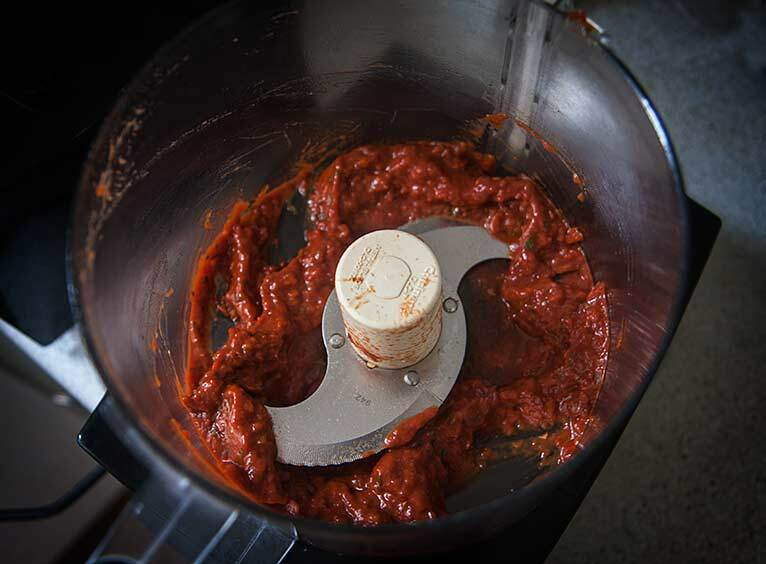 It definitely adds a punch of flavor and makes the sun-dried tomatoes more pronounced. I always check out the local grocery stores when I travel! It’s so interesting to see what they have and it saves the hassle of trying to figure out which restaurant to go to. Depending on where we are, being a vegetarian can be complicated… even in 2017. Oh this looks SO delicious! 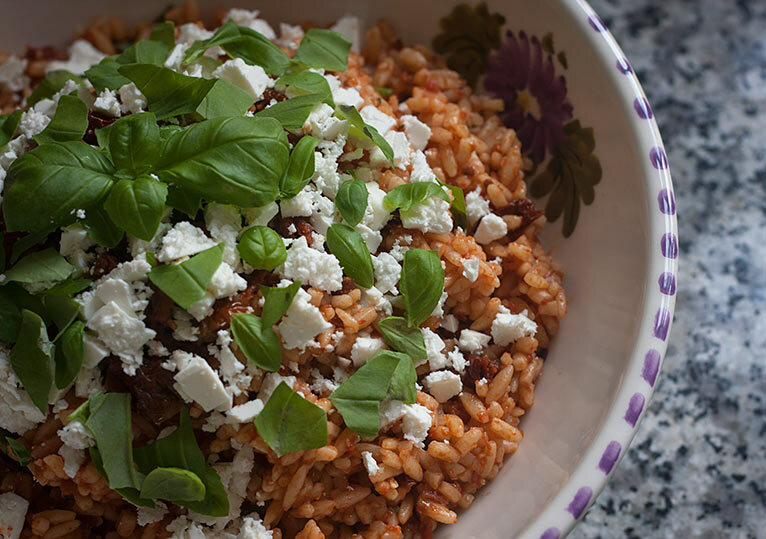 I love orzo, it’s one of my favorite things to cook with – it’s so versatile! I love the look of recipe, so delicious! I definitely have to try this this summer. It’d be so great for a summer BBQ! This recipe is right up my alley – fresh, flavourful, and healthy! As for Marks & Spencer, I used to live in London ages ago and I loved going in there. I actually miss it! I would peruse the aisles for the longest time, lol! We love orzo and we seem to eat it more in the summertime than any other time of year. I actually just made an orzo salad a few weeks ago and used a white vinegar dressing on it. This is the first time I’ve seen a tomato based sauce or dressing. I bet it is amazing. And I love all of that basil on there! Fresh basil takes any pasta dish to an entirely new level! What a lovely summer recipe! Great at a bbq party. 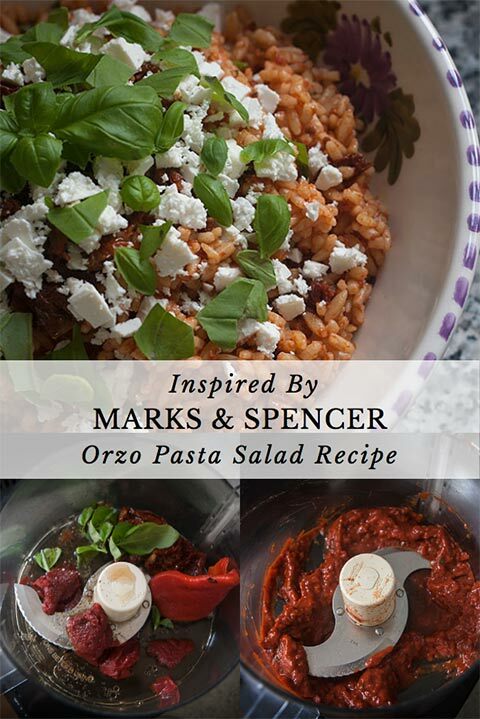 I love the M&S orzo pasta so will definitely be giving this one a go! Looks fabulous and I bet it tastes better than M&S version too. Now excuse the blatant self promotion but if you miss Branston Pickle and can not get it you might want to try making my http://recipesmadeeasy.co.uk/home-made-fruity-chutney/ it might just satisfy any craving you have for Branston. If you’re giving me a recipe for homemade Branston Pickle, you’re more than welcome to self-promote ; -) I actually bring home loads of it every time we’re in England, but I hoard it because I’m always afraid we’ll run out! I’m definitely going to be trying this when my stash runs low… thanks for sharing it! I love a salad that I can throw together quickly and this one looks delicious. I could use a serving or two of this delicious pasta salad Thanks for bringing this lovely dish at Fiesta Friday table. Have a lovely weekend!